Karnool Muncipal Corporation Providing Lot of online Services for Karnool citizens through their official website http://ourkmc.com/ . People who Searching their Property tax details those people can search Property tax details & pay their property tax online. Property Tax is one of the main sources of revenue for the ULB. Residential and Non-residential (Comme-rcial) properties, situated within the limits of ULB, are assessed for tax. Based on such assessments, taxes are levied on the property owners.The information regarding all the new constructions, existing construction and modifications to the property, if any, are be provided by the Town Planning Department for making necessary changes to tax assessment. The citizen has to register with the urban local body for taxation and assessments are made based on the physical dimensions of the property and other parameters to assess the taxes to the citizen. Registered Document / Pata issued by Thasildhar with attestation. Building Plan approved copy with attestation. Self Assessment form along with occupancy certificate. Note : After the fixation of Property Tax, Door No & Assessment No will be allotted. The tax Payer should display the Plot No., H.No., Assessment No., & Name of Locality on the Door. 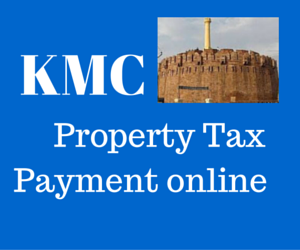 How to Know and Pay Property tax online under Karnool Municipal Corporation (KMC) ? 2. You'll find "Online Property Tax Payment' Option on Right Side of Web Page. 4. Now You'll see redirect New Wab page, than Enter your 10 digit assessment Number in the mention Box. 5. Than click on " Submit" Buttion. Site is not supporting to pay online taxes.